So happy to announce a brand new addition to the March epic equinox retreat! A private Ajna Light technology Pineal Activation treatment for each person coming… my treat! I’m so excited to bring light technologies into the BlissLife Press retreat experience and the upcoming Lightbody™ healing retreat. I’ve been working with vibrational medicine frequency healing through many modalities ancient and modern, technology and spiritual. Ilona and I presenting the new Light Technology Pineal Activation experience. After listening to spirit and giving everything away, I moved to the Mayan Riviera where magic literally began to unfold for me from day one. A year and a half later I’m still here, living a life I couldn’t have even imagined… Meeting healers, shamans, and people on a heart path of consciousness from all around the world. Healing with dolphins weekly and helping people around the world with mind, body, emotion and purpose imbalances, in the healing ocean waters. I know that you seek a life that brings you joy, health, happiness, wealth and experiences and relationships that lift you up and bring great joy. I’m here to help you discover, uncover, and transform from within so you can align with your true purpose. 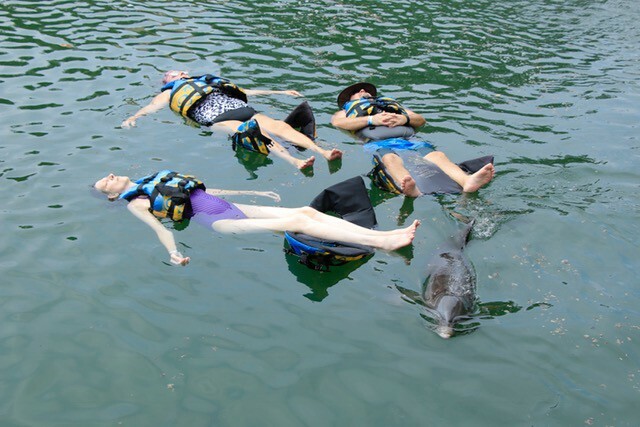 I invite you to come to the BlissLife retreat Mayan Pyramid Magic Dolphin healing retreat with four women healers and shamans, sacred ceremonies and waters, experiences in ancient magic in a tropical paradise. Seriously, I’m not really joking… What are you waiting for? When you open your inner eye, your life is never the same again. Whatever priorities you have in your life, there’s very little else that’s more important than your spiritual, personal and consciousness growth. This begins with your healing, and alignment with your true self.